This is the start page of the bot, which clearly states out the commands that can be used for the bot and the functions of each command. 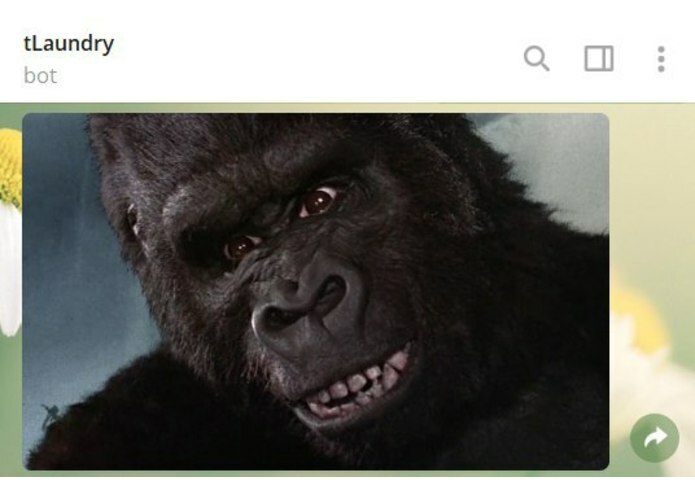 This is the /using command of the bot. It allows the user to select the chosen floor and machine that they would like to use. This is the summary of the options that the user have chosen in the /using function. This is the /ping command that the previous user will receive to remind them to collect their laundry. This is the /checktime command which will return the time remaining . 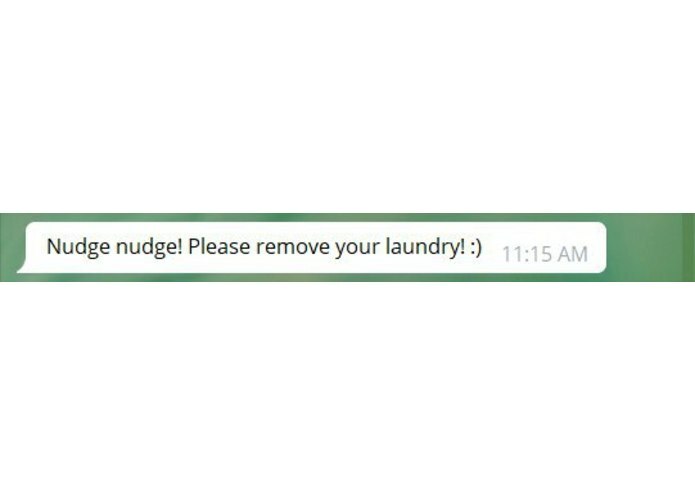 This is the reminder sent to users once their laundry is done. In Tembusu, there are 2 levels that contain laundry rooms. The bot provides information on the availability of the washers and dryers on each floor with the /check9 or /check17 function. Since the bot has a user-based system, residents of Tembusu have to use the bot to update the machine status. 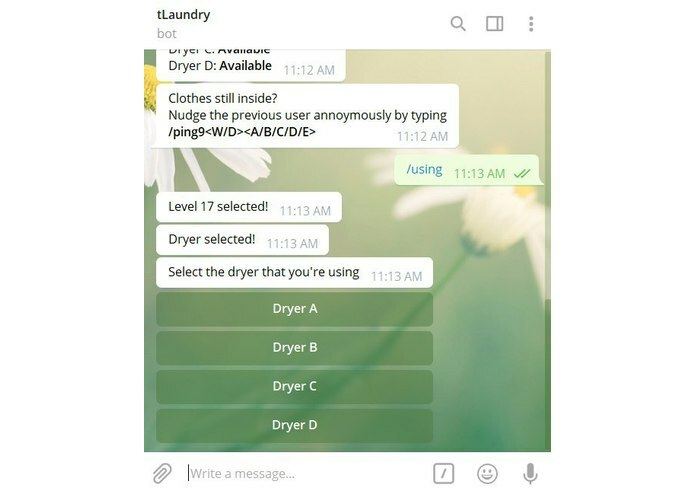 Residents can decide which washers or dryers they would like to use, update the bot, check the amount of time left and also receive notification when their load is done. 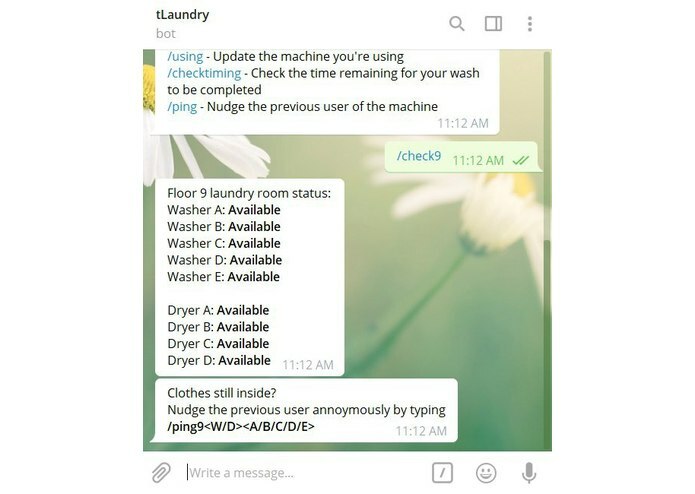 Additionally, the userId of the resident on telegram would be tied to the washer/dryer, thus it is possible to send a message via the bot to the previous user to collect their clothes if they did not. Once the time is up, the washer/dryer would be available again. 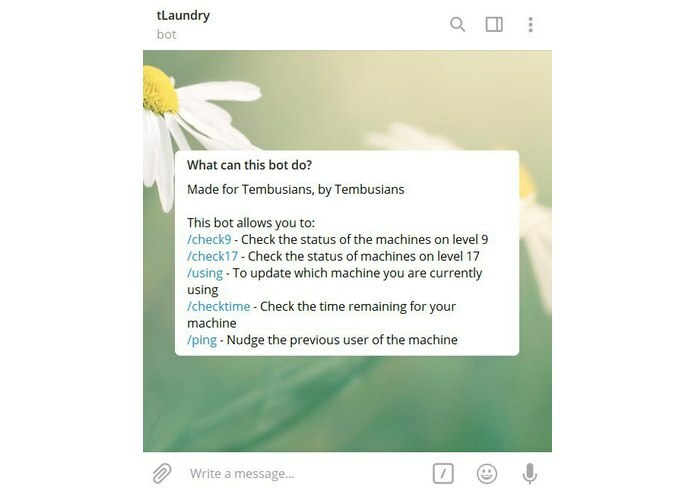 We wrote the bot with Node.js and Telegram-bot API, with the help of Firebase SDK. A major limitation of this bot is the fact that it is a user-based application. Without accurate users' contribution, the reliability of the information provided by the Telegram Bot may be questionable. We also find it difficult to incentivise more users to make use of the bot, so as to keep the machine status updated and accurate. 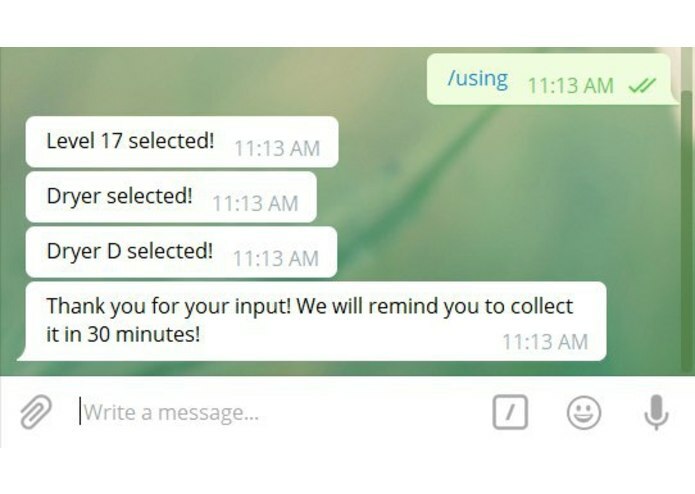 We learned how to make a working Telegram Bot using node.js, linking to firebase and constantly thinking of better ways to optimise our code. A possible improvement will be to install a sensor on the machines that detects whether a washer/dryer is in use. For example, it may be possible to detect a jump in the electricity current when a machine is in use. This will eliminate the need for user input to update the state of the machine, effectively overcoming the challenges stated above. We are aware that there is another group of Tembusians working on using light sensors to detect when the machines are being used, and we are planning to collaborate with them for future developments. Since there may be a possibility that there are faulty machines, we plan to input a report function into our code, such that users can report to the bot that a certain machine is faulty, so that other users would be aware of the number of machines actually available for use. The report function will probably change the status of the machine to unavailable, until the college is notified and fixes the machine. There will also be an undo button once the machine is fixed, to change the status of the machine back to available for residents' use.